One financial services firm has cautioned trustees against locking away large chunks of money into income stream products, with the low interest rates currently causing lower returns with these products. HLB Mann Judd partner of wealth management Jonathan Philpot said that while income stream products such as lifetime annuities are an investment option for SMSF trustees looking for a steady income, they should avoid locking away a large proportion of their fund in these products. “It’s a low type return that you’re locking in so you’ve got to be careful not to lock in too much. 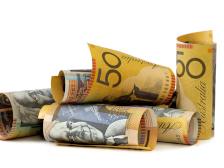 You’re probably not getting much return at the moment, about 4.5 per cent if you’re lucky,” said Mr Philpott. HLB Mann Judd partner of wealth management and superannuation Michael Hutton said that SMSF trustees often think when interest rates are low it’s the best time to invest in a lifetime annuity. “However when interest rates are low, that’s also when get the lowest actuarially calculated return for annuities as well,” said Mr Hutton.